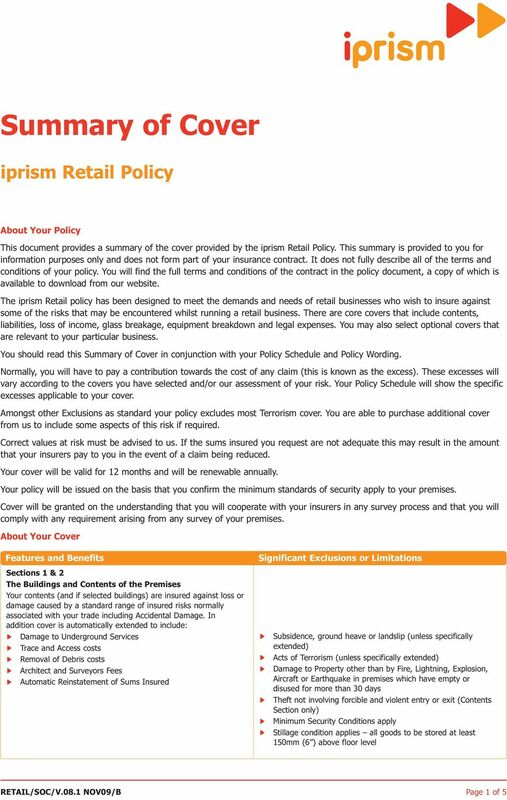 Download "You should read this Summary of Cover in conjunction with your Policy Schedule and Policy Wording." 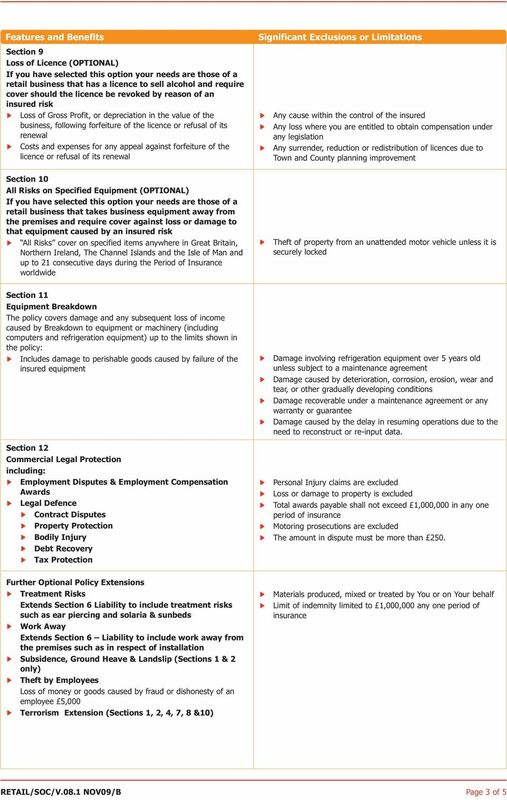 5 Making A Claim A full explanation of our claims procedures can be found in your policy booklet within the Claims Conditions section. 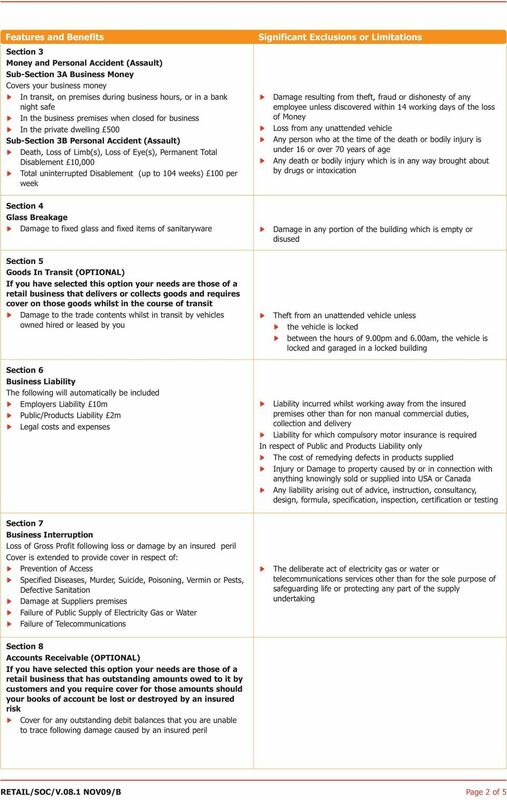 Law Applicable To Contract This contract shall be subject to English law (or Scottish law when the address shown on the Schedule is in Scotland) and the Courts of England (or Scotland when this contract is subject to Scottish law) will have exclusive jurisdiction in all disputes connected with this policy. If there is any dispute as to which law and jurisdiction apply it will be English law and the Courts of England. 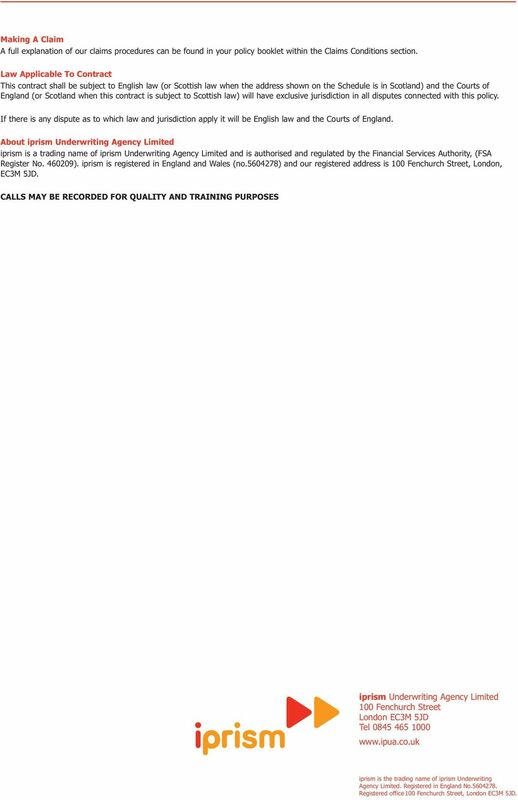 About iprism Underwriting Agency Limited iprism is a trading name of iprism Underwriting Agency Limited and is authorised and regulated by the Financial Services Authority, (FSA Register No ). iprism is registered in England and Wales (no ) and our registered address is 100 Fenchurch Street, London, EC3M 5JD. 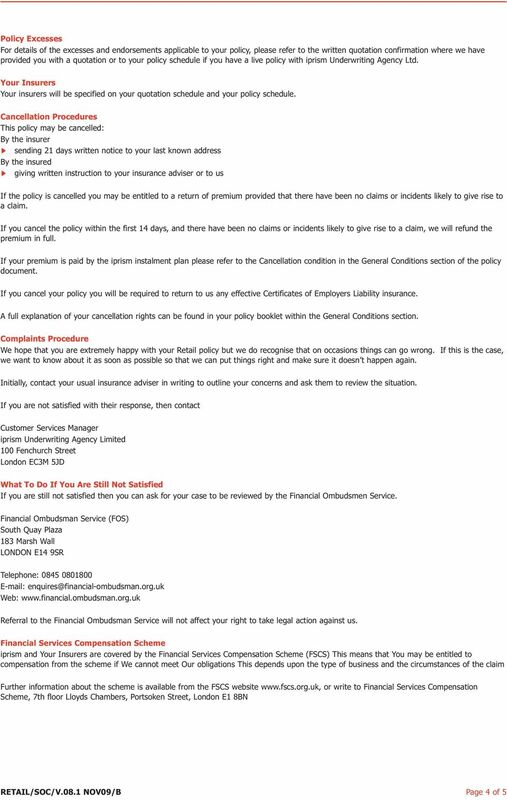 CALLS MAY BE RECORDED FOR QUALITY AND TRAINING PURPOSES iprism Underwriting Agency Limited 100 Fenchurch Street London EC3M 5JD Tel iprism is the trading name of iprism Underwriting Agency Limited. Registered in England No Registered office 100 Fenchurch Street, London EC3M 5JD.